That's because it's a one of a kind custom. I've been aboard a larger Sundowner. What I recall most is that there was very little bilge between sole and hull. Six inches of water would have put water into the aft cabin. It's been a few years... It looked like it had possibilities for a couple. Aft deck was small but accommodated a barbecue on the rail. Similar to a Nordic Tug though lots less $$. Priced about where you see that one back in 2007ish, give or take. Nordic Tugs then were $125 and Outer Reefs ran $35ish. Prairie Trawler's at 29' ranged from $15 (eek condition) to $65 (wow!) with most in the $25-$35 range. Same time frame as above. I found Seaweed in 2008. Was shopping/being ignored by brokers in 2007. I like Franks! 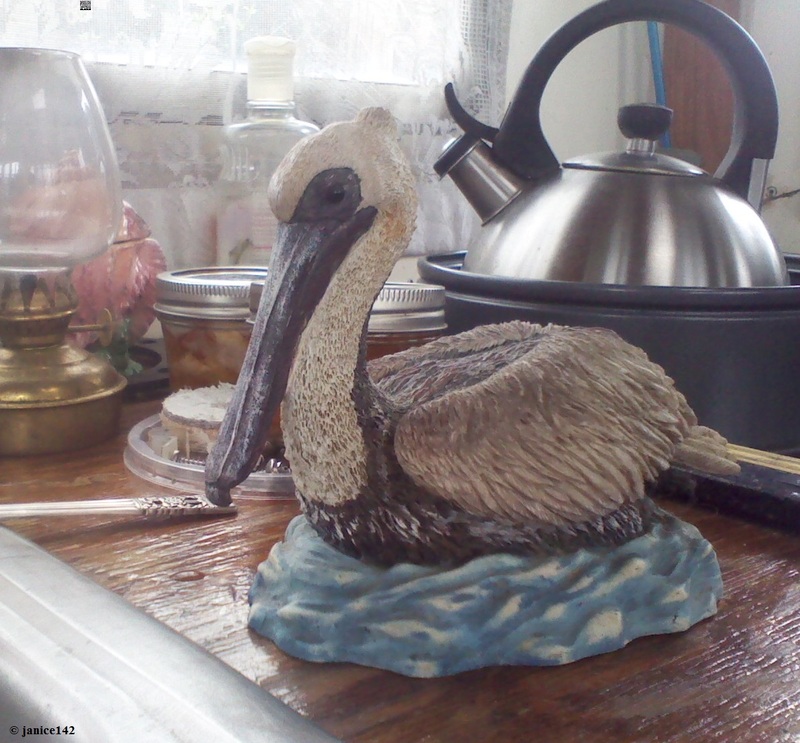 In fact, I have a collection of Franks most thanks to the work of Merritt Island Potters...now deceased. I almost went for a very nice 30 Sundowner for bigger bucks, nearly double what I ended up paying for the Puget Trawler. Nice boat but like all similar "tugs", no aft cabin, which is something I really wanted in a boat, so guests if ever aboard have actual sleeping quarters and not just a settee bed, in the middle of everything. I thought ours was the smallest Sundowner Tug at 30' and 11.5' in the beam. This one is 26' and 9.5' in the beam. Making a mold for just one boat seems improbable, which makes me think they had plans to make more...part of the Sundowner Tug story I'd never heard even a whisper about before. Seems like some kind of error with the listing: the YW "Description" tab goes on about a 30' boat in conflict with the "Full Specs" tab, which refs 26'. Hi Murray, Maybe this; 30' boat in conflict with the "Full Specs" tab, which refs 26'. confused me. Your giving the specs has me agreeing more with you. Sure looks the part hull wise. Always enjoy reading on the Sundowners. PS: have you ever had the sensation for additional ballast other than full tanks? I know that's what you did with your boat, but think I'll go with paravanes once we start winter cruising. The PO of our boat replaced the original 60hp (65hp?) with a 100hp engine and added an extra 40 gallon fuel tank in the lazarette aft of the original 50 gallon tanks. With the couple hundred pounds of ballast I chucked into the bow to try and lift Badger's arse a bit, that's quite a bit extra weight down low than it had originally. Al - Weird...no PM yet...lunch break over...will check after work. So much depends on the previous owners. They suffer the ills of 1980's Taiwan manufacturers (teak screwed through perfectly good & waterproof fiberglass decks for one) but for us that's acceptable. We know some elbow grease will be needed if we want to keep Badger for a few more decades (new fuel tanks, spongy spot on the aft deck, etc) but in the meantime we have a boat perfectly suited to our needs which was affordable and allows us to cruise in confidence...with an eye on the weather.